Bruce acts for statutory authorities, insurers and corporations in a broad range of insurance matters including accident compensation, toxic tort and dust diseases, public liability and product liability. Bruce enjoys working closely with his clients to effectively and efficiently manage claims through practical pre-litigated advice. Bruce is highly regarded for his skill in responding to complex problems with creative and commercial solutions that are attuned to his clients’ objectives. 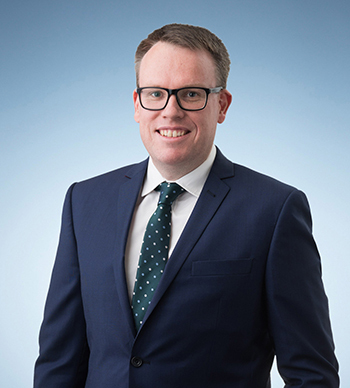 With excellent technical skills and legal knowledge, Bruce regularly provides specialised advice on the implementation and operation of statutory compensation schemes and initiatives, legislative amendment and regulatory reform. He is also an experienced litigator and has an excellent record of achieving successful outcomes in complex and strategically sensitive claims in all jurisdictions including the Court of Appeal. In November 2013, Bruce was awarded the WorkSafe Victoria New Talent Excellence Legal Panel Award, in recognition for his work and leadership in the WorkCover jurisdiction. Acting on behalf of WorkSafe Victoria and other self-insurers in defending complex and sensitive statutory and common law compensation claims arising from personal injury and death. Acting on behalf of the Department of Environment, Land, Water and Planning in defending litigated claims for property damage and business loss arising out of prescribed burns. In particular, acted in a claim for over $7 million arising from a prescribed burn where the outcome of the matter had considerable implications for the Department’s rights and responsibilities under the Forests Act 1958. Advising on the settlement distribution schemes totalling in excess of $500 million and related regulatory issues arising out of the Black Saturday Bushfire Class Actions. Acting on behalf of the South Australian Crown Solicitors office in relation to the review and reform of its Compulsory Third Party Insurance Scheme.